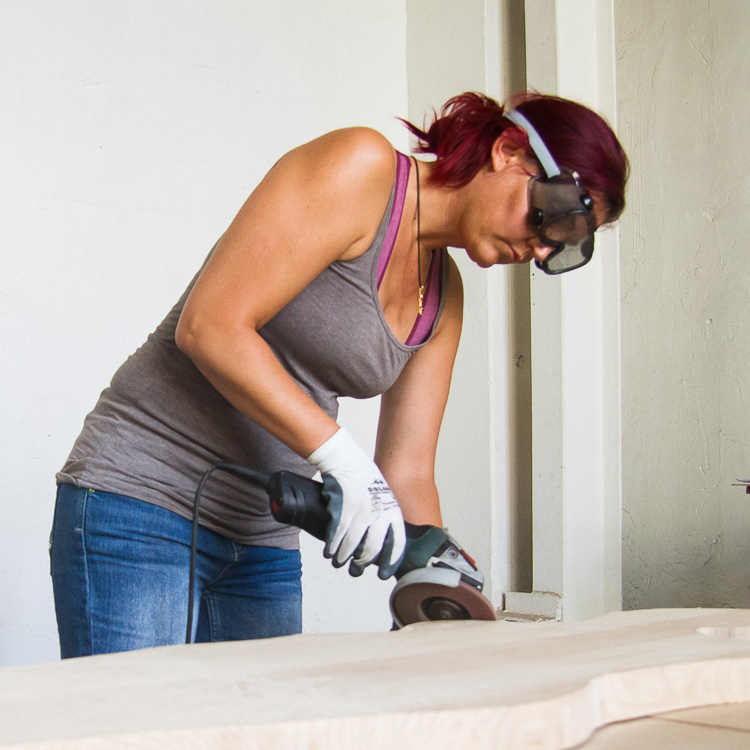 Whoohoo – It’s exhibition time… please save the date! Book a ticket and come to Berlin! My next solo exhibition “Goldgräberstimmung” will be on show in Germany’s capital, Berlin, on Saturday, the 16th of June (17h30) at the Grafik Studio Galerie Neumann. Jens Garling will give a brief introduction to the works. On show will be a small selection of land art works and public art actions (in form of photographic and video documentation) which I have created in April12 in the Namib Desert and some mixed media works. The exhibition can be viewed until the 16th of July. Please feel free to invite your friends along and also to purchase some of my works. Temporary installation at the “Black Rocks” close to Wlotzkasbaken, Namib Desert. If you like my art, please join my Facebook Artist Page . 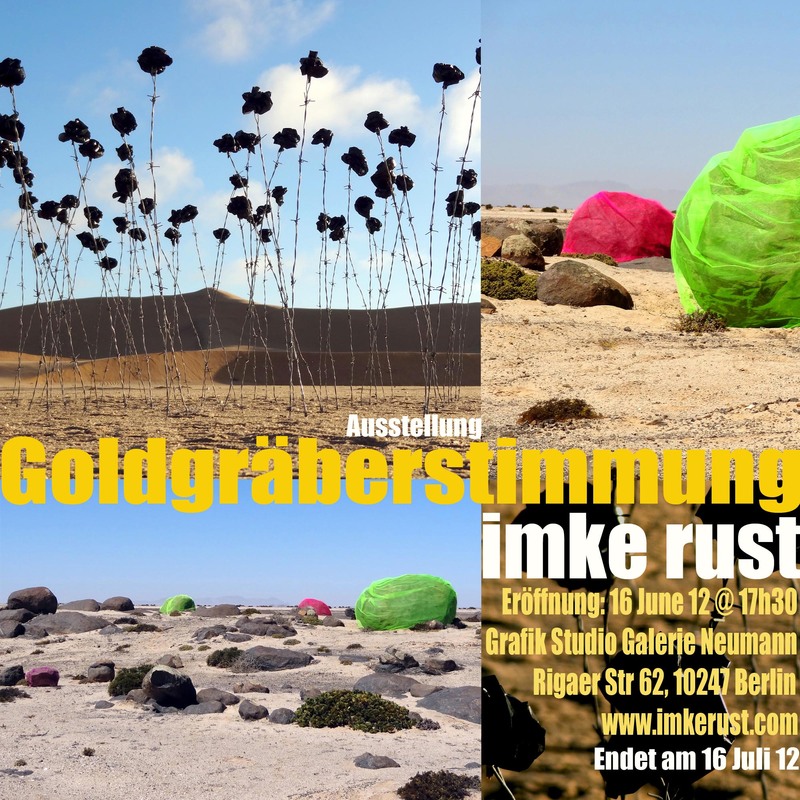 This entry was posted in Exhibitions, Installations, Land Art and tagged art, Ausstellung, Berlin, Chemical Plant, imke rust, land art, Namib, namibia, phosphor mining, SubRosa, Swakopmund, Toxic Rocks, Uranium, VIP Gecko on May 29, 2012 by Imke Rust. Wow, die Einladung sieht super aus!!! Deine Eröffnung ist an meinem Geburtstag, werde aus der Ferne ein Glas Sekt auf Dich trinken! Ich freue mich auf die Ausstellung! Good luck!